Features: Soooo cute! 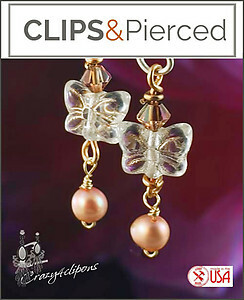 Czech glass butterflies are paired with golden pearls and Swarovski crystals for this sweet look. Very feminine, perfect for Spring.